Industrial hemp is legal to grow in Wisconsin since November 2017. The recreational use and medical use of cannabis is illegal. The one medical exception is low-THC CBD oil which was legalized in 2014. It is tightly controlled for treatment of epilepsy and limited number of other conditions. Possession of recreational marijuana up to 10 grams is a civil fine of $256.50. There are eleven federally-recognized tribes in Wisconsin. The DOJ marijuana policy on tribal reservations applies to these Wisconsin tribes. Each is federally recognized as sovereign by the Bureau of Indian Affairs in the U.S. Interior Department. For a complete list of Wisconsin tribes and their locations, see our page about Wisconsin Tribes. Wisconsin tribes recognize the challenges and business opportunities of the cannabis industry, but most have not announced their interests or business plans. The St. Croix Chippewa Band is planning to cultive hemp on its reservation to produce cannabidiol, aka CBD oil. The Chippewa Band will convert a 200,000-square-foot building that was formerly a fish hatchery into a CBD production facility. Wisconsin legalized low-THC CBD oil in 2014. In 2017 the state passed a new law that enables the tribe to produce low-THC CBD oil and avoid federal raids or other problems that have hit tribes like the Menominee. The new law also allows for the possession of marijuana-derived CBD oil. The Menominee Indian Tribe began cultivating hemp on their reservation in May 2015. They were producing low-THC CBD oil which Wisconsin legalized in 2014. 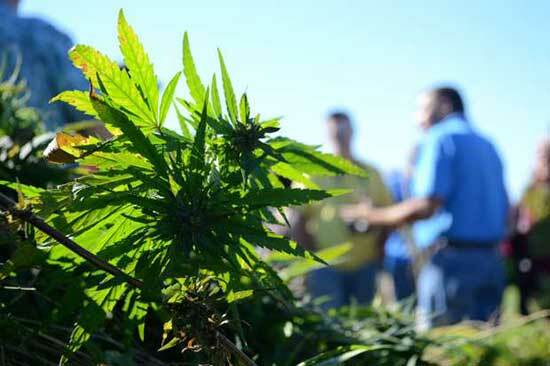 In Oct 2015 federal agents raided the reservation and seized over 30,000 hemp plants. The DEA said they found and seized marijuana plants. The tribe said it was an industrial hemp crop. "I am deeply disappointed that the Obama administration has made the decision to utilize the full force of the DEA to raid our tribe. 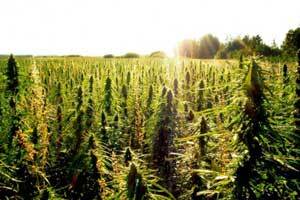 We were attempting to grow industrial hemp for research purposes in accordance with the farm bill," Besaw said. Gary Besaw, Chairmanof the Menominee Indian Tribe. The Menominee Tribe sued for damages claiming it had acted lawfully, but the court rejected their case. A lawsuit has been filed against Wisconsin Attorney General Brad Schimelby the St. Croix Chippewa Indians of Wisconsin. The state has been trying to shut down the project owned by the tribe. 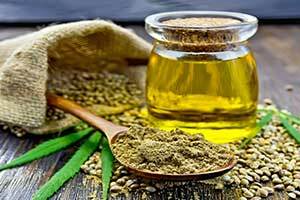 The tribe has interest in trying to develop a processing plant for hemp oil. The tribe maintains that the state does not have the authority to enforce laws on their land. They are asking for a ruling on the issue by the federal court so that they can move forward with their plans for hemp production and oil extraction. Under the federal Public 280 Law, states have the right to enforce laws on tribal lands. This includes all criminal matters. A lawyer for the St. Croix Tribe maintains that hemp production is under tribe's own laws. Wisconsin has laws in place for the regulation of marijuana for medical use. Those regulations move the laws to civil issues. This includes the tribe's hemp production facility. Being categorized as a civil issue would then legally fall to the authority of the tribe to decide. They submitted the lawsuit against Wisconsin Attorney General because he has been a strong opponent to the St. Croix's project. Schimelby believes the law should be enforced against the tribe since the project is considered illegal. 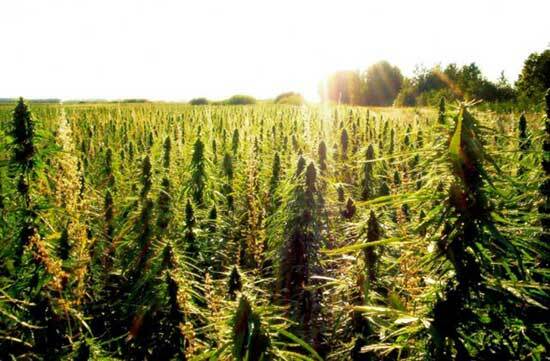 Farming the hemp is considered legal for the tribe. However, extracting the oil from the plant is not. Yet the possession of the produced oil is also legal under the law. 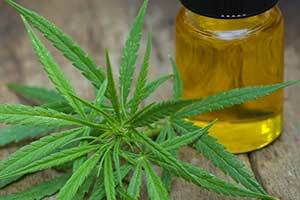 A small amount of cases of producing the hemp oil is legal under the 2014 Lydia's Law. A prescription from a doctor is required to possess the oil. The oil is used to treat medical conditions such as seizures. It is intended for the lawsuit to settle the issue between the state and the tribe over the project and if it is considered illegal under the state law. The Wisconsin state attorney general was sued by the St. Croix Chippewa Indians on Thursday. The state is trying to prevent the tribe from producing hemp oil. The tribe believes that this is a violation of the agreement that the tribe's land is sovereign and they can produce the oil if they wish. The Madison federal court was were the lawsuit was filed. The hemp industry in Wisconsin is regulated under state law. The laws are civil-regulatory. The argument is that under the state laws, the St. Croix's land is separate and the state's attorney general cannot enforce laws there. They believe that if they wish to produce hemp oil and marijuana extracts they should be able to. The cannabis oil production business has been planned since 2014. This happened after Lydia's Law was implemented. The law made certain types of cannabis use legal with a prescription from a doctor. Lydia was a child that suffered from epilepsy. Her parents proved that the oil was helpful in her treatment. The hemp industry was then legalized and regulated by the state three years later. However, not the production of oil. An ordinance for the growing and processing of hemp was adopted by the tribe. This regulates how it is produced, how it is distributed, and how it used on the land owned by the tribe. An old fish hatchery will serve as the processing center. It is 149,000 square feet and located in Danbury. For three years the facility has been worked on to convert it to a place where the tribe can grow and process the hemp for oil. In 2016 the state was contacted by the tribe to ensure that their plans were not violating any laws. In particular, that they were not in violation of the federal guidelines or criminal codes. The Wisconsin Attorney General Brad Schimel would not guarantee that they did. The St. Croix Chippewa are asking that law enforcement not be allowed to interfere with their business since it would be infringing on their sovereignty. They want a federal judge to ensure support. In 1934 the tribe was given federal recognition. Located in Northwest Wisconsin, there are over 1,000 members. The St. Croix Chippewa are working towards plans to produce hemp oil. The tribe is interested in starting this by the end of the month. The tribe is interested in producing hemp in order to cultivate it for medical use. Hemp is extracted and then used to produce cannabidiol oil. The oil contains low levels of THC and is used in the treatment of medical conditions, such as seizures. In April a bill was signed that allowed for medical marijuana with a doctor's prescription. The bill was signed by Gov. Scott Walker. It is illegal to farm hemp in Wisconsin. This also includes the production of extracting the oil. However, the St. Croix Chippewa maintain that since the farming and production will be taking place on their land that the federal law prevents the state from enforcing laws on their land. The tribe wants to provide safe cannabidiol to people with medical conditions that the oil to help treat. Unemployment in their county is very high. The production and farming would produce at least 15 new jobs. Hemp production can also supply body products, building supplies, supplements, and biodiesel industries. The project is estimated to start at a $1.2 million investment. Many other Native American tribes are also considering the growing of marijuana or hemp. It is seen as a way to create another source of income for their tribes. Some are seeing it as a way to offset costs of declining casino revenue.